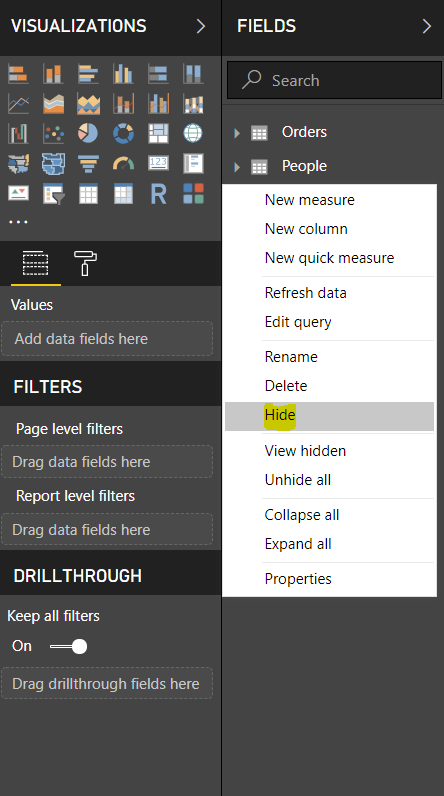 In this article we will read on how to hide a table or column in Power BI Web Service. 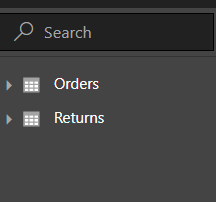 I have a Power BI Report with 3 Tables; Orders, People and Returns. 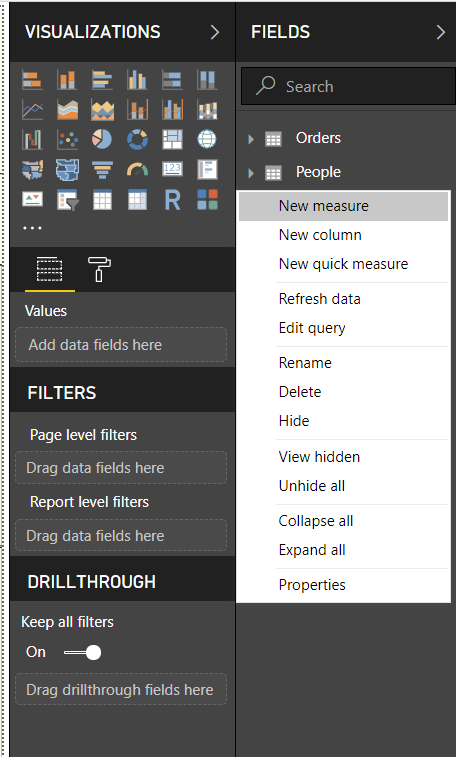 I want to hide People table when I am publishing the Power BI Report on Power BI Web Service. Open Power BI desktop file. Voila! You are done. 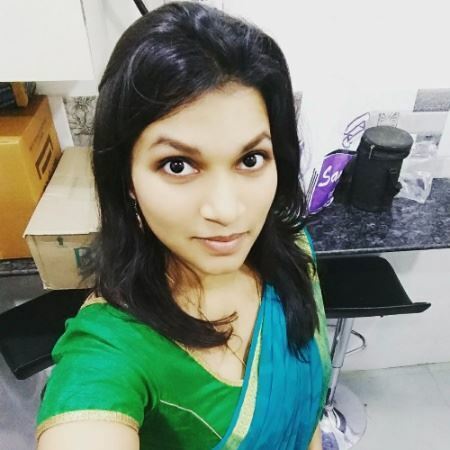 The Table People we not be visible in the Fields section of Power BI Desktop file. You can find the table in the Modelling view as a Grey table.